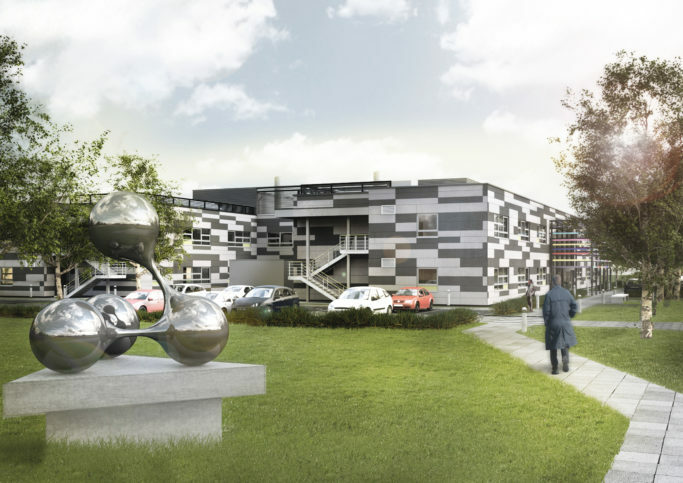 Porton Science Park is a new development for Wiltshire Council. DKA have been involved with the delivery of this new gateway building to the site, which was completed in December 2017. 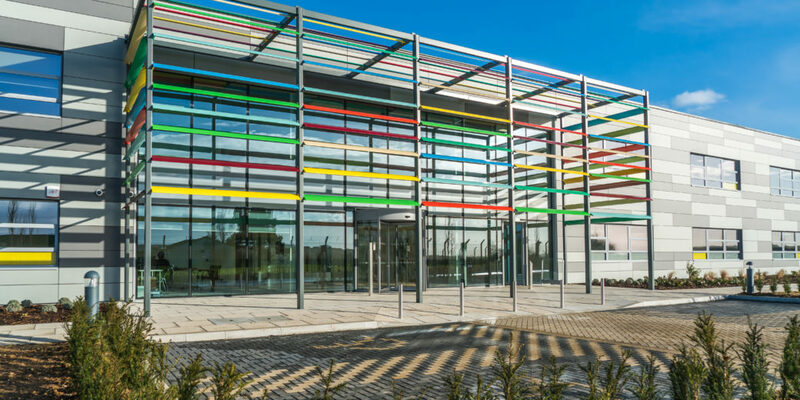 The Porton Incubator Laboratories is an H shaped plan with laboratory spaces at ground floor, office space above and associated meeting and welfare facilities. The centre is designed to offer flexible space to start-up companies. 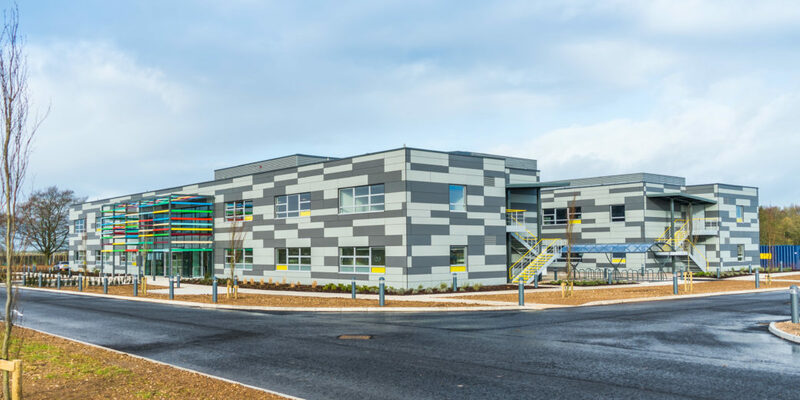 The building construction value is £5million with an overall project cost around £8million including the phase 1 site infrastructure, services and access which is designed to accommodate 10 further buildings on the site in supporting industries. 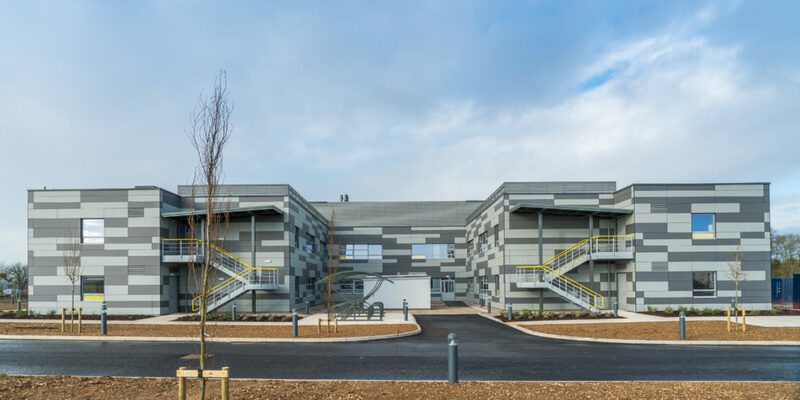 Located next to Porton Down, the project team have to be aware of commercial and securitysensitivities. DKA have assisted the Council with the master planning and planning applications for the wider site. The initial concept was produced by another architect. 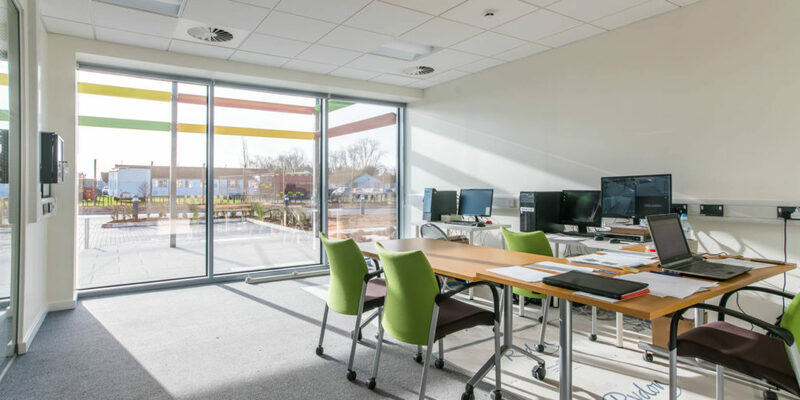 The client felt the scheme had limitations, so our initial role was to conduct a full technical review of the design and make the necessary changes to achieve compliance. 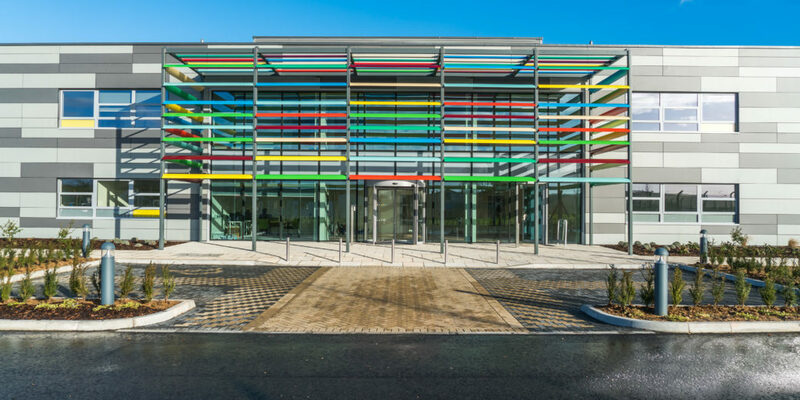 DKA’s scheme was then tendered with DKA novated to the main contractor as lead designer. 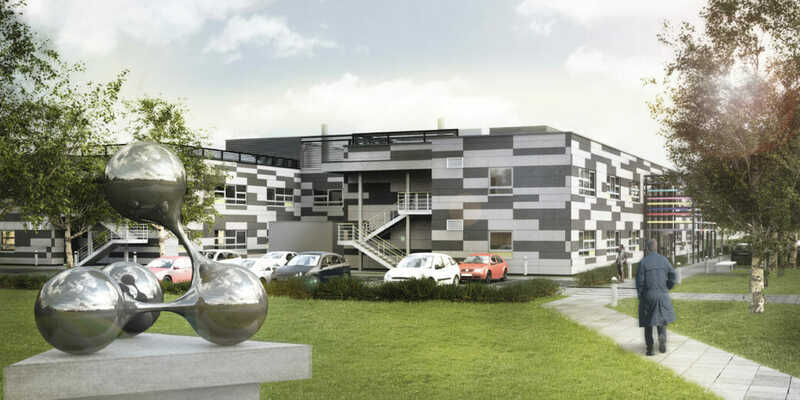 In addition, we are BIM Manager and wrote the client’s BIM requirements document. 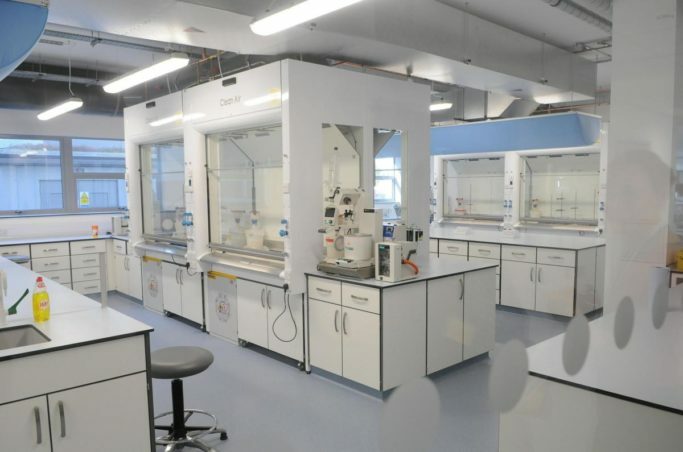 The laboratory spaces were particularly challenging and required close coordination of structure and M&E. Roof mounted plant services a number of fume cupboards which required appropriate routing to a central rising stack. The laboratories were required to achieve a minimum of Containment Level 2 (CL2 microbiological labs) which meant careful detailing of finishes and building envelope to achieve the necessary pressure testing and sealing of junctions. 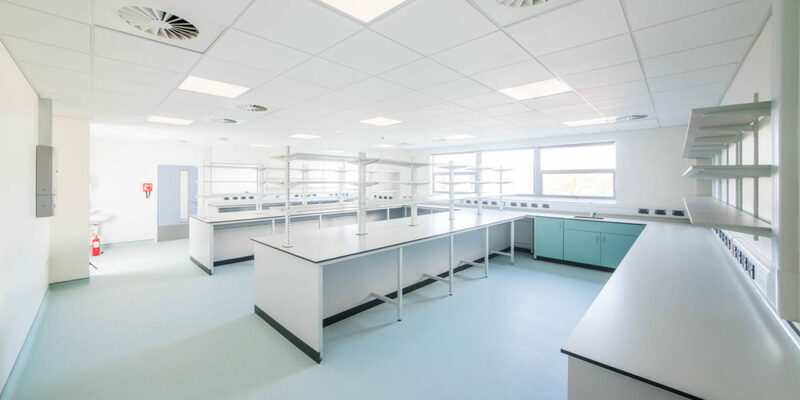 During construction it became apparent that there were numerous potential tenants specialising in health and life sciences that were interested in occupying the laboratory and office spaces being offered on completion. DKA were further appointed to review and assess individual end-user requirements. Each laboratory layout needed to be customised to meet individual user needs. 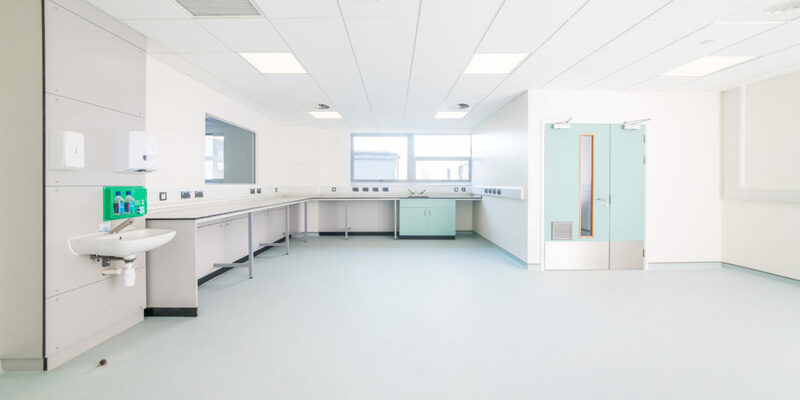 Identifying key process flows and spatial need for specialist laboratory equipment was an important consideration that would inform the layouts and internal changes were then incorporated into construction information. 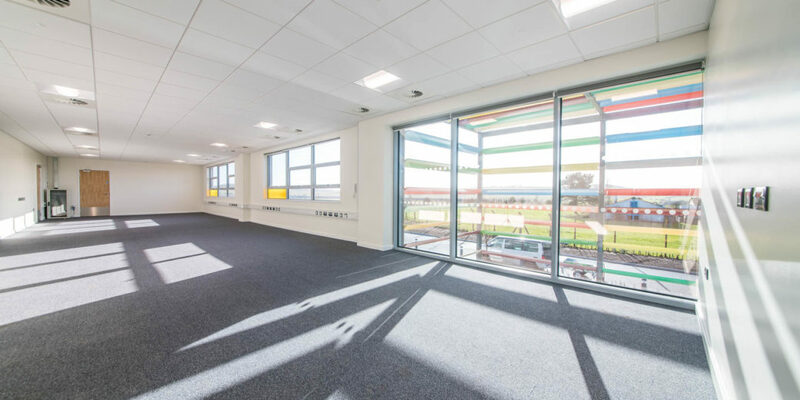 DKA ‘s reactive and flexible response, alongside good communications with the contractor, meant that the alterations were achieved on site without significant delays to the build programme. 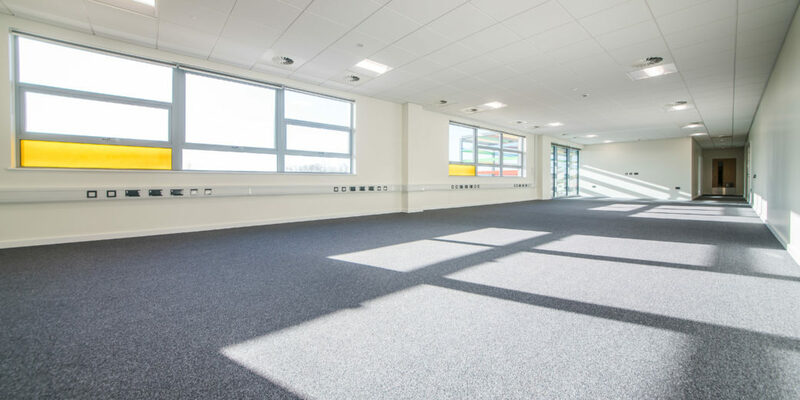 Further works on this site have also included design services for a 600m2 laboratory and office fit-out in the shell and core ‘Phase 2 area’ for a pharmaceutical company. The building was completed in early 2018 and many of the prospective tenants have moved in and the building occupation is nearing full capacity. 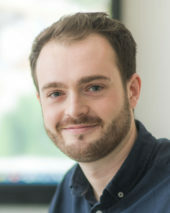 Photos courtesy of Rydon Construction Ltd.
Ben began working at DKA in 2012 as a student whilst studying at the University of Bath. 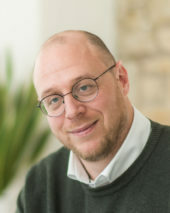 Since then, he has completed his Part II Master’s Degree in Architecture and gained invaluable experience working for a variety of local architectural practices of all sizes.